We are a group of Soaring pilots who love flying the Schweizer 1-35 sailplane. Many of us are owners, some are not, but none-the-less, we meet here to exchange information and experiences on flying this "top of the Line" Schweizer design, the SGS 1-35. The SGS 1-35 is a 15-meter class sailplane that is designed for the intermediate pilot, is fun to fly, and is both attractive and durable. SOARING is a total thrill for most of us. It is a simple, relaxing, and low cost way to experience pure flight, to get in tune with the rhythms of the sky, and to be with others of our nature. 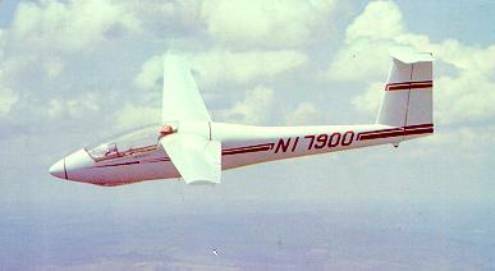 Schweizer built 101 SGS 1-35 sailplanes from 1973-1982. Of these, over 80 are still in service. The SGS 1-35 is a very safe glider, experiencing relatively few accidents in over 50,000+ flight hours. It is very low cost to own aircraft, and is ideal for cross country and sport flying. It can out climb nearly all other 15m gliders due to its low weight, and has a respectable speed range. To top it off, it is a very good looking design that turns heads!